A complex material such as fiberglass in which two or more distinct, structurally complimentary substances combine to provide some properties not present in any individual component. A carefully planned combination of complimentary breeds designed to produce a uniform offspring. Having uniform offspring is a goal of every beef producer and using composite bulls on crossbred cows gives you a MORE uniform calf crop compared to using purebred bulls. Composite (some people still use the word crossbred, which is different) is a step beyond crossbreeding. An example of a composite is a Beefmaster. A Beefmaster is 1/2 Brahman, 1/4 Shorthorn, and 1/4 Hereford. The Stabilizer or the MARC II is a composite that is 1/4 each of Red Angus, Hereford, Simmental, and Gelbvieh. There are many other composites now emerging as we find that these are ideal for many situations. The American Gelbvieh Association has trademarked the term “Balancer” for their composite of Angus and Gelbvieh (must be ¼ – ¾ of each breed). The main reason composites have become more popular is that you can maintain a fairly consistent percentage of breeds that fit your environment. You can buy a composite bull of genetics that you have found that fit your herd year after year instead of vacillating between more extremes. So instead of a two, three or four breed rotation, you simply buy a bull that’s exactly what you want in the end. My prediction is that 20 years from now, you’ll see more composite bulls sold than purebreds. The swine industry has gone that way in the last 20 years and the poultry industry has been that way for even longer. Our bull buyers think that a ½ – ¾ Angus, ¼ – ½ Gelbvieh or Simmental cow is near ideal for their beef cattle business. Buying bulls near these genetics allows you to continue to have a herd with optimal heterosis. Herd genetics have a large impact on herd productivity and profitability. 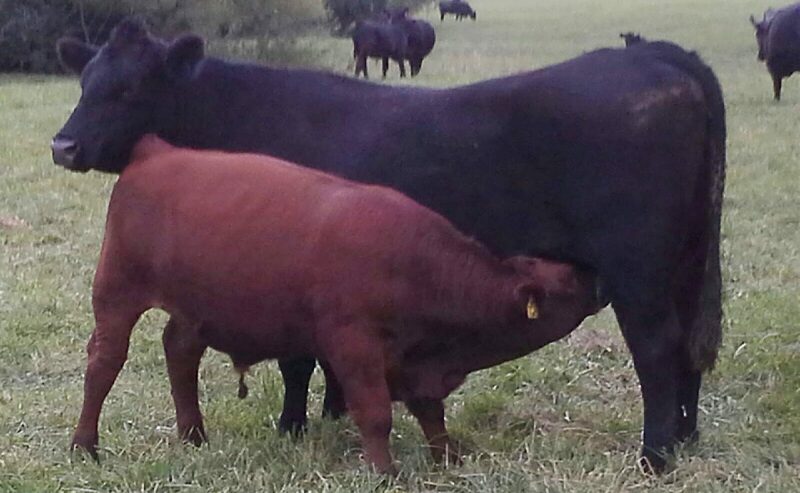 Fit your cows to your environment, buy bulls for your market and always have 100% crossbred cows.